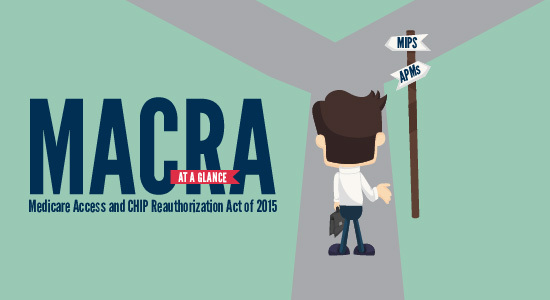 See frequently asked questions about the Medicare Access and CHIP Reauthorization Act (MACRA). 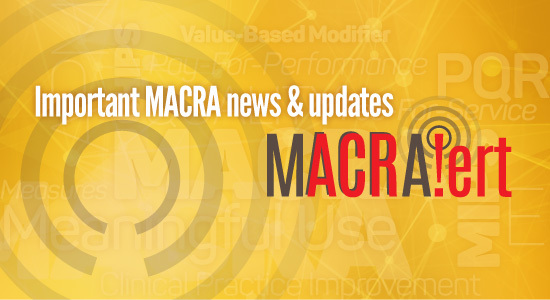 Don't Miss Important MACRA Updates! 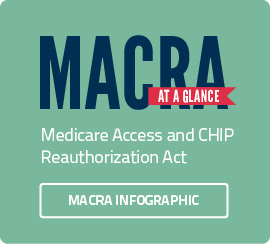 Learn about MACRA. Visit our MACRA FAQs, glossary, and resources pages to find the most up-to-date information on this important and developing topic. And watch your inbox for MACRAlerts. Each MACRAlert will provide vital MACRA news. The Quality Payment Program (QPP) has two tracks to choose from which allow you to participate based on your practice size, specialty, location, or patient population: MIPS and APMs. 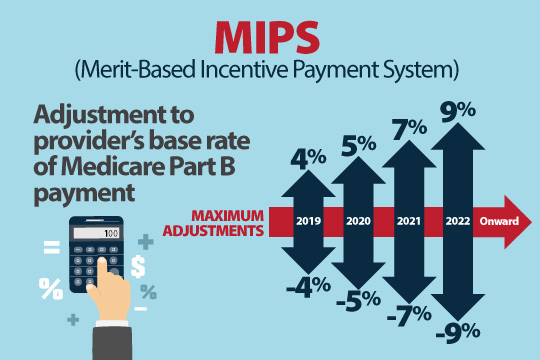 MIPS changes how Medicare links performance to payment. MIPS consolidates three current programs: the EHR Incentive Programs/Meaningful Use (MU), Physician Quality Reporting System (PQRS) and Value Based Modifier (VBM) into one quality program. 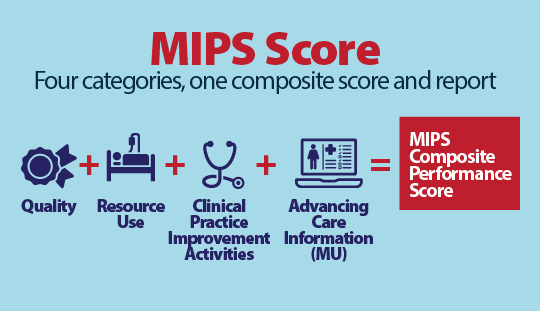 MIPS will evaluate four performance categories: Quality, Resource Use, Clinical Practice-Improvement Categories and Advancing Care Information (MU) . An eligible professional’s (EP) performance score will be used to determine if an EP receives a positive, negative or zero payment adjustment. For physicians who select the MIPS track, a methodology will be used to assess their total performance for Medicare beneficiaries and each MIPS eligible physician will receive a composite quality score for each performance period. Note: Details on MIPS will be the subject of policymaking for several years, but it is important to understand that some of the assessments made at the effective date of 2019 will be based upon 2017 data. 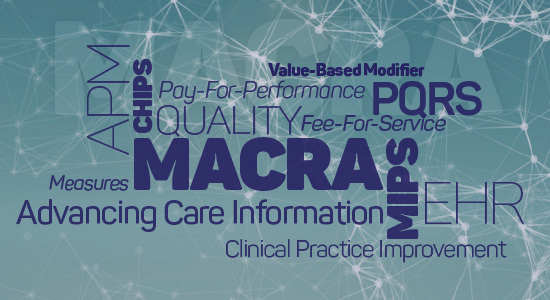 MACRA promotes the development of an eligible professional’s participation in Alternate Payment Models (APMs), which create a payment incentive program for qualifying participants. Eligible APMs are the most advanced APMs that meet the following criteria according to the MACRA law: Accountable Care Organizations, Patient Centered Medical Homes and bundled payment models. Base payment on quality measures will be comparable to those in MIPS. ACR leadership from a number of highly engaged committees have joined forces to develop an action plan for the organization’s involvement in the implementation of the new law. This ACR MACRA Working Group is developing an education, communication, and advocacy strategy and is committed to helping our members navigate through the complexity of MACRA as it rolls out. We are currently working on an Alternative Payment Model (APM). 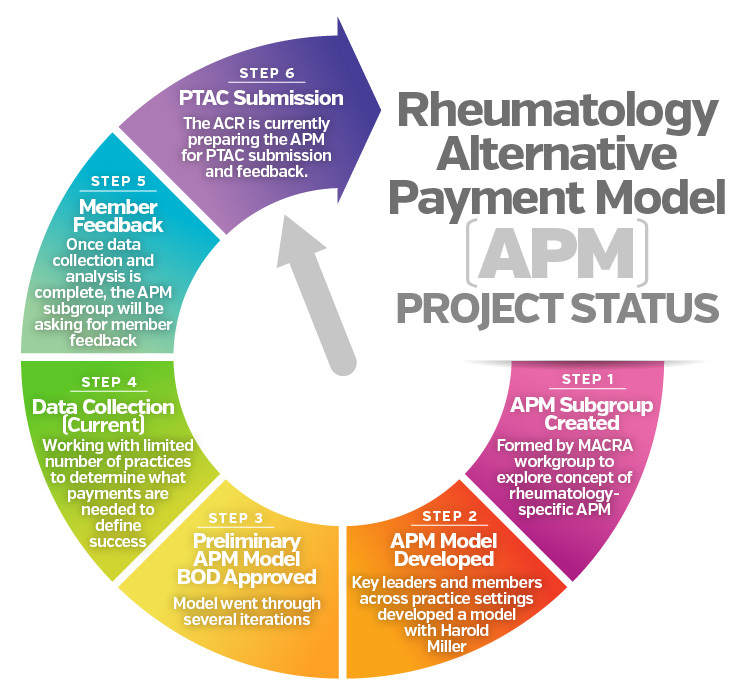 The ACR’s Alternative Payment Model (APM) addresses the treatment of rheumatoid arthritis (RA), a life-long condition whose appropriate care varies depending on the stage of the disease. The APM reflects the varied involvement of the rheumatologist during these distinct stages, splitting payment into an initial stage for diagnosis (including, for example, communication with primary care physicians), followed by ongoing care stratified by disease severity and recognizing other illnesses that complicate treatment. This model aligns payment with physician work and reimburses for services that have traditionally been undervalued. Quality measures are built into the APM to ensure that treatment adheres to best practices. We believe the services provided by cognitive specialists such as rheumatologists are undervalued in the current system, and the additional training and expertise of rheumatologists are not recognized. Additionally, non-face-to-face care and chronic disease care coordination reimbursement as currently configured is inadequate for the time and effort required to comply with current codes. 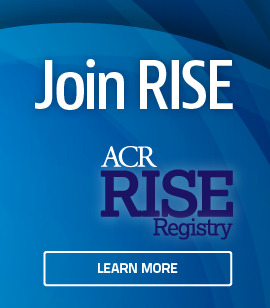 In the ACR’s RA-APM, these valuable services which may prevent costly or unnecessary procedures are appropriately reimbursed, while the model is designed to lower overall costs. The ACR Board approved the next phase and continued funding in November 2017. Small-scale data collection is in progress. The RA-APM is in development and its design is intentionally flexible and scalable. Many details, including dollar amounts, are not final. There is a great deal to learn. Get informed and stay up-to-date with the rapidly changing landscape. January 1, 2017 was a significant date. That’s the day data about your practice started counting for reimbursement in 2019.